10 Stage water purifier that purify any kind of water. 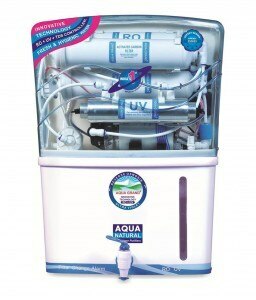 It has Mineral Cartridge to maintain essential minerals in water. It has magnetic softner to minimize the Iron level in water. It has Anti-scallant Balls that reduces the level of hardness in water and enhance the life of membrane. Give 100% Safe & Pure drinking Water for your family. Hygienic water for baby milk & food. No need to purchase expensive mineral water. Easy to maintain. Enhances taste of drinking water. Great testing tea, coffee & cold drinks.